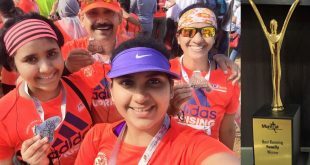 Anurag Gupta, Malati Gupta and their daughters were recently awarded as the Best Running Family for 2016 by Mumbai Road Runners, a non-profit group of passionate runners whose aim is to promote running in Mumbai. 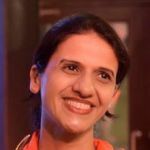 The Guptas had participated in 25 events pan India, clocking 66 race finishes during the course of last year. A regular at the marathon circuit, Anurag's journey in this field started in 2009 when he decided to transform his lifestyle after being diabetic and obese for 6 long years. It is said that one run can change your day, many runs can change your life. The Gupta family swears by it.